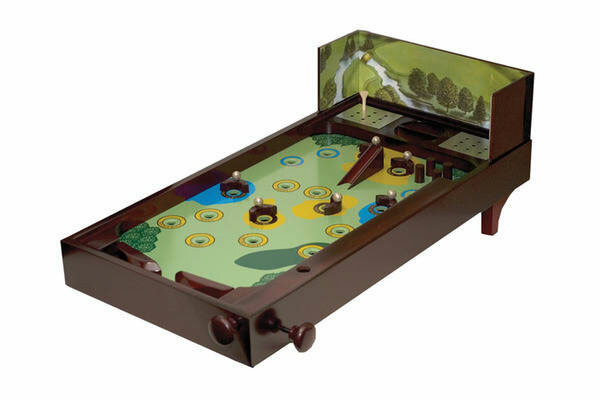 This wooden pin ball game is 25.5" x 14.25" is a game games played on a sloping table, the object usu. being to shoot a ball, driven by a spring-operated plunger, up a side passage and cause it to roll back down against pins and bumpers and through channels that flash record the score. The table measures 14.25" x 14.25" x 2.5"